Today I have a very special Guest in the project “Silk & Beauties”. For the first, this Lady is so young, and for the second, She is rightly considered a matter of pride not only for her family but also for two countries: Azerbaijan and Canada. Emily Gubski-Shamilova, Calgary, Canada. Emily’s achievements: City of Calgary Youth Leadership Award Recipient 2017, Co-Founder & Director of “Azeri Calgary Stars” dance group and JunioTech Kids Academy Student Robotics Club, 2017 Alberta Sanofi Biogenius and Canada Wide Science Fair medalist and awards recipient for her break through Research Project on HIV Immunity. 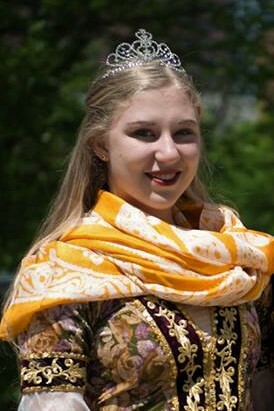 Emily is of Azerbaijani heritage, immigrated to Canada with her family from Baku when she was still in grade 4. 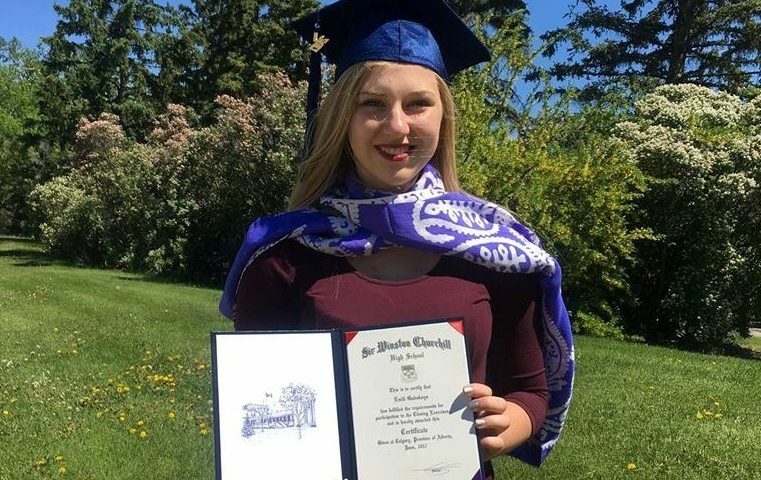 This year Emily, IB student, graduated from Sir Winston Churchill High School in Calgary with honours (94% average mark) and was admitted to the faculty of Science at the University of British Columbia where she will be studying Microbiology & Immunology. In her very young age, Emily received lots of recognition, media attention, prestigious medals and awards from the regional & Canada wide science competitions for her break through idea on HIV treatment. Her passion for dance and love of Azerbaijani culture grew into leading the kids dance group “Azeri Calgary Stars” that recently had a triumphant performance on the Disney stage in California. The robotics team from the Junior Tech Kids Academy Student Robotics Club that Emily co-founded won the Alberta FLL robotics competition this year and proudly presented Alberta at the World Championship in Houston. Emily is a proud recipient of countless awards and scholarships for her academic achievements, extensive volunteering &leadership in community, including the 2017 City of Calgary Youth Leadership Award that was presented to her by the city mayor Nahid Nenshi. What does a silk scarf mean for Emily? “Kelagayi is such a beautiful traditional piece of fashion. Natural silk gives it weightlessness, yet it’s very big & warm, which makes it very practical for women of all ages in all centuries and… in all weather conditions. I absolutely love it!”. Emily’s choice is Kelagayi from Azerbaijan Kelagayi brand collection.